1st Floor ranch: Bright,spacious , updated baths, sunny newer eat in kitchen. Boast of a master suite with private bath remodeled. Enjoy summer evenings on your walk out private patio. & garage with extra storage.Outdoor pool included. Public Golf is steps away. Lessee to pay own utilities (Gas,Electric and Cable) $50.00 Cash for credit report NO PETS. Credit score 660 or better. No short term lease this is a non-smoking unit. Kagan Real Estate, Inc. to run all credit and criminal background reports $50.00 cash/money order, for all applicants 18 yrs or older. 6/1/18 occupancy. 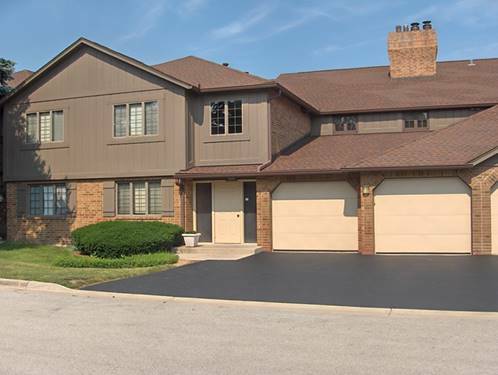 For more information about 13319 S Oak Ridge Trail Apt 1A, Palos Heights, IL 60463 contact Urban Real Estate. Listing provided by Kagan Real Estate, Inc.